Does Your Employer Have Workers’ Comp Coverage? Workplace accidents can throw your personal finances off-track if they result in a serious workplace injury. Fortunately, many workplace accidents that occur in Marietta GA and the Greater Atlanta area, are covered by workers’ compensation insurance. It’s a good idea for all workers to know if they could be covered in the event of a workplace accident because there are certain steps an employee must take shortly after an incident in order to receive benefits. If you aren’t sure whether you’re covered, you can either check with your employer or visit the website of Georgia’s Employer Workers’ Compensation On-Line Insurance Verificatio n.
Simply click on the link on the website and follow the instructions to verify an employer’s coverage status. You’ll be asked to enter either the employer’s name or the federal employer identification number (EIN). In Georgia, most employers are required to carry workers’ comp insurance if they have three or more employees. Exceptions are made for farm laborers, domestic servants, railroad carriers, and U.S. government agencies. In Marietta GA and the Greater Atlanta area, substance abuse is a major problem. Many people struggling with opioid addiction aren’t sure how to go about getting help. If this describes you, you should know that there is drug addiction help available to you, but you need to take the first step to contact a clinic that offers this type of treatment. Before your appointment at the clinic, you should become informed about the nature of opiate addiction treatment. One common treatment method is the use of a class of medications known as opioid partial agonists . These are opioid medications that latch onto the same receptors in the brain as do opioid drugs. However, opioid partial agonists do not produce a feeling of euphoria. Instead, they work by blocking the unpleasant effects of drug withdrawal. If this will be your first time receiving this type of addiction treatment, then you should plan for a lengthy first appointment. The doctor will likely ask you to take a urine test to check for the presence of drugs. Then, you’ll be advised of the basics of the treatment program and how to use the medication. Your doctor will determine an appropriate dosage for you, but this dosage may need to be adjusted later. This type of medication is available in different forms. One of the most common is a sublingual film, which is placed under the tongue and allowed to fully dissolve. Drink some water before placing the film under your tongue. When doing so, hold the film between your fingers by its outside edges and place the film close to the base of the tongue. Do not chew or swallow the film; allow it to fully dissolve. It’s likely that you’ll return to the clinic for follow-up appointments on a weekly basis until you’re in an established routine. After that, your follow-up appointments may become less frequent. Your urine may be randomly tested from time to time. If you experience any problems with the medication, such as side effects or decreased effectiveness, you should inform your doctor. This type of addiction treatment allows patients to work through other addiction therapies without suffering the ill effects of withdrawal. 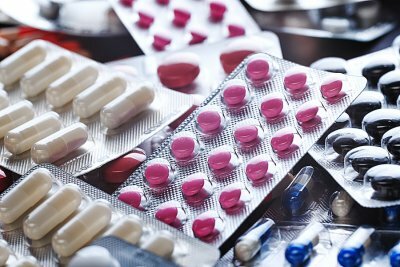 Addiction to painkillers, or opioid addiction, has become extremely common. It can develop quickly, even when you’re taking your medications as prescribed, and is very difficult to break without help. Watch this video to learn more about how painkiller addictions develop and when to seek treatment for substance abuse in Marietta GA .
Painkiller addictions develop as your body adjusts to the dose you are prescribed. As your body gets used to the medication, you may begin to need more of it to get the same effect. If you attempt to stop the medication, you may experience symptoms of withdrawal. Professional addiction treatment programs are the best way to break the cycle by managing your withdrawal symptoms and teaching you to cope with cravings. If you are injured on the job, after you receive medical treatment, you’re likely to have many questions about the next steps. It can be helpful to choose a doctor with experience in treating workplace accidents in Atlanta, GA , as he or she will be accustomed to dealing with the process as well as experienced with the types of injuries that usually happen at work. If you’re dealing with a workplace injury, here are the answers to some of the questions you may have on your mind. Do I have to seek medical care? 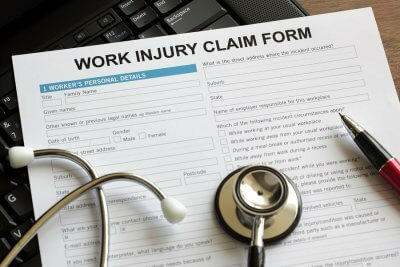 Often, people with workplace injuries do not seek care right away because they believe that they are not seriously hurt. However, when their symptoms become worse later, they can then have difficulty proving that the injury happened on the job because of the time that has elapsed. For this reason, you should always get medical treatment immediately after an injury occurs, so that there is a record created that can be helpful in the future if you need to make a compensation claim. What is an ABIME-certified doctor? ABIME stands for the American Board of Independent Medical Examiners. ABIME-certified doctors have undergone specialized training that allows them to objectively perform a number of medical assessments. ABIME doctors who examine patients after a workplace injury are considered qualified to make accurate diagnoses and make appropriate decisions about prognosis, care plans, work capacity, and causation. In addition to being recognized for their expertise by insurance companies, ABIME-certified physicians are able to testify in court as expert medical witnesses. Choosing an ABIME-certified doctor for an independent medical exam can help your workers’ compensation claim go more smoothly. What should I do if my employer won’t pay my claim? 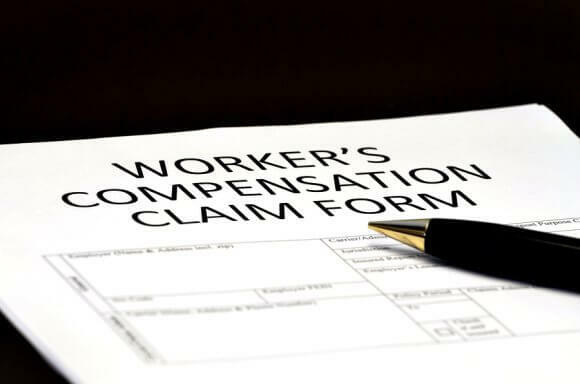 If your employer fights your workers’ compensation claim, it may be necessary to contact an attorney. If this occurs, it will become all the more important to have detailed medical records that chronicle your injury from the time it occurs throughout your treatment plan.